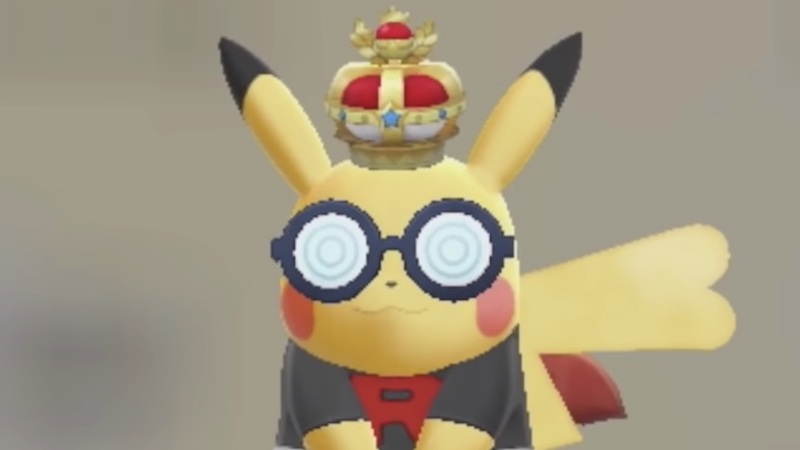 You can dress your partner Pokémon in different outfits, sunglasses, hats, bows and tees in Pokémon Let’s Go, Pikachu! and Pokémon Let’s Go, Eevee!, but one item – the Crown – carries a high price tag. The Crown is available to buy from the Celadon Department Store for 999,999 of your hard-earned Poké Dollars. It’s the most expensive item in the Kanto region, and, once it has been stuffed in your Clothing Trunk, you can choose to let your partner Pokémon – whether that be Pikachu or Eevee – wear it to make them feel like royalty. Or something.